it continues to be my privilege to be acquainted with the entire staff of kat ran press. this week, i paid a too-short visit to its tastefully appointed, digitally warmed offices on myrtle street in cambridge, ma—a visit which demonstrated that while bad taste is ubiquitous, the exception proves the rule. 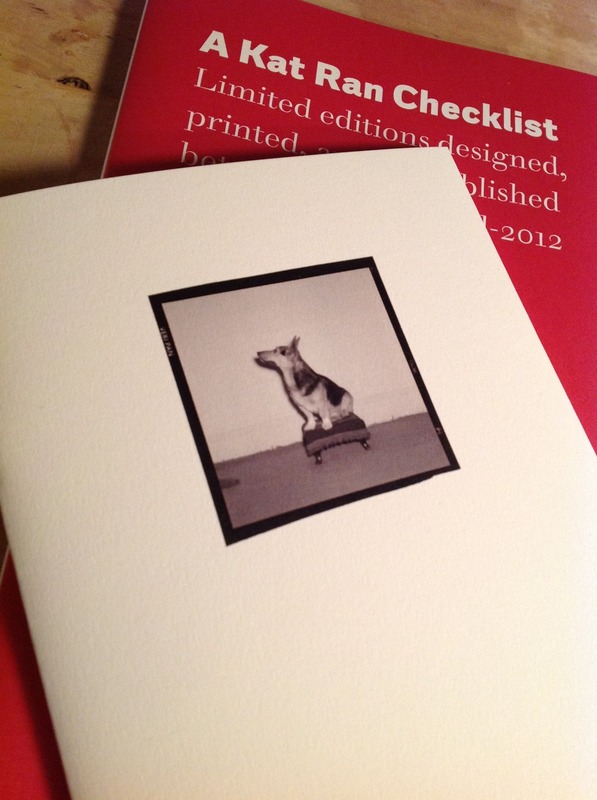 the kat ran checklist you see above, under a copy of dogs are OK, is a catalogue raisonné containing a tough-minded, superb essay on design that does not exist online. a good time was had by all. or, at least, by me.